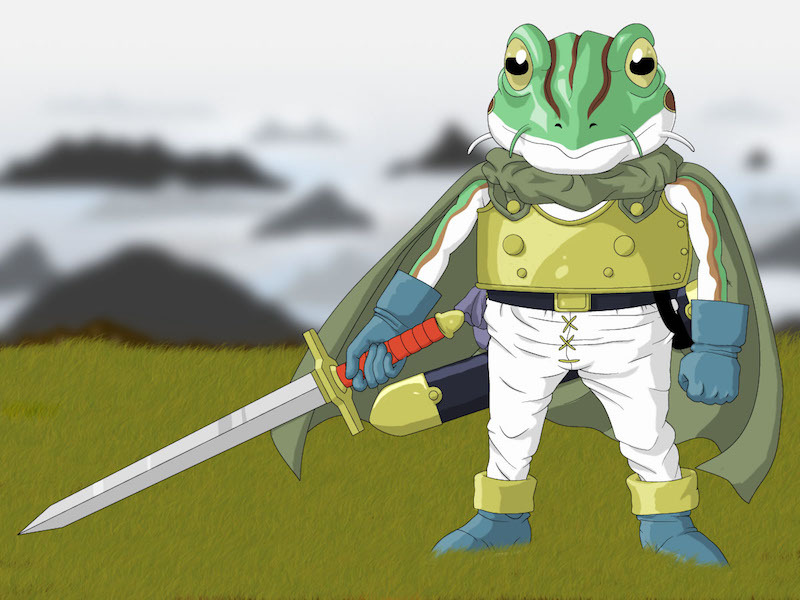 A piece of fan work from the game Chrono Trigger of the character Frog. This drawing I included not only to show my talent at drawing but also my ability to replicate a style of the original artist. I also wanted to show a variant of my shading technique I have been working on.